Home Tags Posts tagged with "The Quail"
The “Why We Ride” film, released in 2013, has become the #1 motorcycle movie in America because it is a story about who we are. It tells the stories of individuals with a desire to dream, discover and explore. The movie hit an emotional nerve with riders, and it has spawned an entire social movement within the industry. Director–Producer Bryan H. Carroll and Producer James Walker have been both gratified and inspired by the devotional response to their movie, and they decided they needed to harness the passion of their fans and use it to do something positive. The Why We Ride MOTOvational Events came out of this revelation and intention. 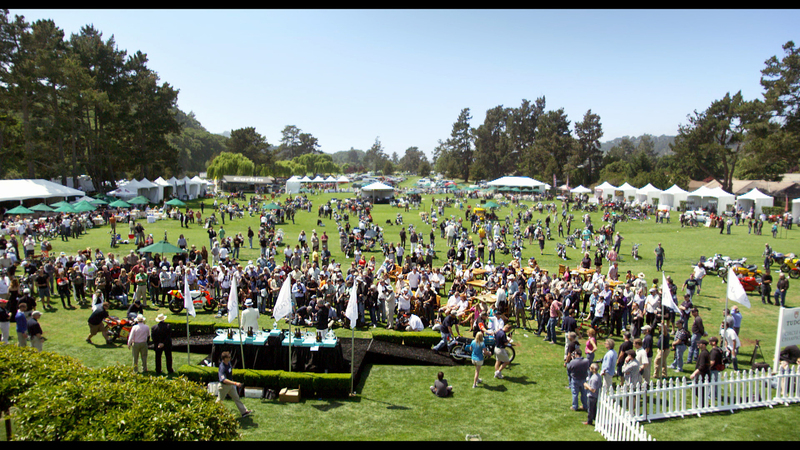 The 3rd Invitational WHY WE RIDE to the Quail benefiting The Pediatric Brain Tumor Foundation just became the largest annual charity event Why We Ride organizes, and it took place this year on May 4, 5 and 6. Why We Ride was also thrilled to welcome the wonderful organization Veterans Charity Ride as a partner for the event. The AMA sanctioned ride began in Moorpark, Calif., and headed to picturesque Pismo Beach, Calif., moved up into the wooded hillsides and gorgeous valleys of Paso Robles wine country, followed the Carmel River along the most seductive canyon road in California, and arrived at the beaches of Monterey in time for The Quail Motorcycle Gathering. “Three years ago we thought we would attract only ‘motorcycle people’ on the ride,” says Bryan Carroll, producer and organizer of the event. “We quickly realized that, like the movie, our audience was really people who ride motorcycles, which is a very different thing, and has made a huge difference. The upshot is that riders of all stripes, some traveling from as far as India and Mexico City, but all with a common love of motorcycle riding came together and took part. Of course, everyone loves a good cause, but the diversity of sponsors and participants really illustrated how the Hollywood and motorcycling communities united to benefit those in need, namely children with serious medical issues. Participants in the charity ride enjoyed a bevy of perks (in addition to the awesome ride), including watching whales at the Pismo Beach BBQ, a catered lunch at the historic 1773 San Antonio Mission, cocktails and a 5 star meal at the WWR Riders Banquet Dinner, gift bags, special inspirational guest speakers, VIP access to The Quail Motorcycle Gathering, including a private ride to the event, exclusive parking and private lounge access. There was also a raffle with over $6000 of swag and gifts donated from the sponsors and guests. Keith Hernandez was this year’s winner of The Steve Moore Spirit of the Ride Award and got a custom leather jacket made by D73 and Serge Bueno. The 3rd Invitational WHY WE RIDE to The Quail benefiting The Pediatric Brain Tumor Foundation would not have been possible without the generosity and dedication of its sponsors—these included: Company 3, Refuse Specialists, Nuviz, Indian Motorcycle, Motorcycle Mover LA, Newbox Solutions, Kawasaki Motorcycles, Macro Space, Aerial Vuz, Gnarlynow Entertainment, Lightning Entertainment, Harley-Davidson, Klock Werks, D73, 805bling, Doffo Winery, LA Motorcyclist, FastHouse, Formosa Group, Fotokem, Lucky Fools, Harvest Construction, Egrafz, EPS-Cineworks, Carol Hicks Hand Lettering and the Bill Bavelas and Tim Mitchel Family. 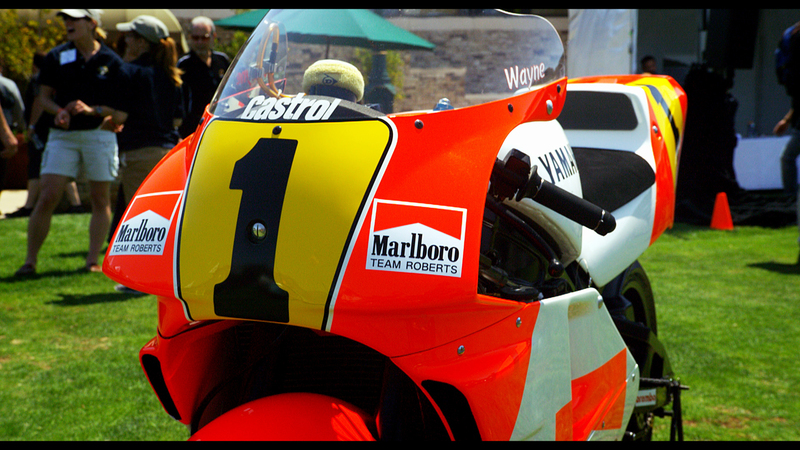 Simi Valley, Calif. – May 8, 2014 – The #1 Motorcycle Movie in America, Why We Ride is coming to the 6th Annual Quail Motorcycle Gathering in Carmel, CA on May 17th. In addition to showing the film, Why We Ride producer/director Bryan H. Carroll and producer James Walker will present the inaugural Why We Ride Award to a winning motorcycle entrant. The Why We Ride Award will celebrate the future of motorcycling by encouraging children to vote on the motorcycle that most inspires them to ride. All children under 12 will be able to cast their vote for the winner by visiting the Why We Ride booth. Motorcycles of all makes, models, eras and categories are eligible for the award, so kids are encouraged to choose their favorite motorcycle and vote! 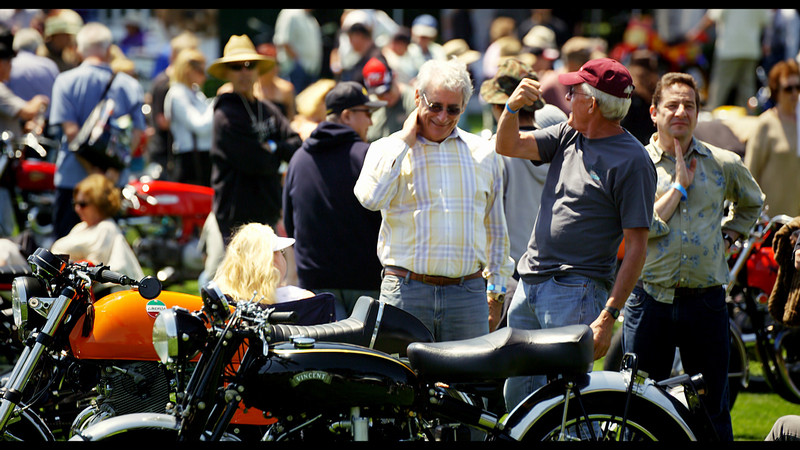 The Quail gathering is held annually at the Quail Lodge and Golf Club in the rolling hills of California’s Carmel Valley, and is attended by thousands of avid motorcycle enthusiasts from around the world. Why We Ride’s creators will be attending the event with a booth displaying clips from the film, and a few of the film’s stars. This is an excellent opportunity to meet some of the motorcyclists that pioneered the sport and continue to shape its future. For more information about The Quail Motorcycle Gathering, check out their website. 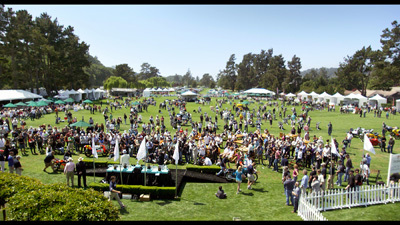 Tickets can be purchased through The Quail’s online ticketing page, with general admission tickets starting at $75, and children under 12 getting in for just $15. General admission includes parking and a barbecue lunch. See the movie everyone on two wheels is talking about! For a limited time only, Amazon Instant Video is offering Why We Ride at a reduced price of $6.99 for digital purchase and $1.99 for digital rental. Offer ends May 10, 2014 so don’t wait! Visit Why We Ride online for more information about the film, including the latest screening dates and locations, information about where to purchase the film, and more. Be sure to like the Why We Ride facebook page, and follow the film on twitter and instagram to see exclusive fan-only content and promotions.